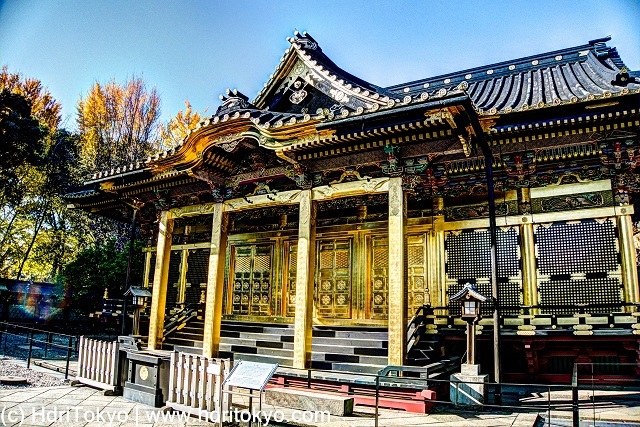 The shrine structure of Ueno Toshogu was built in 1651, and survived both the great kanto earthquake of 1923 and world war 2. 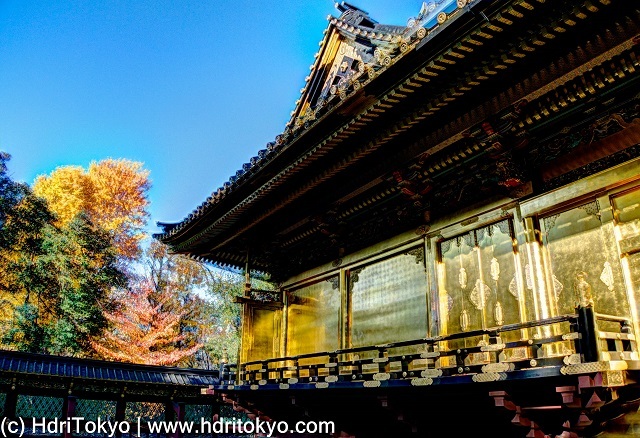 The shrine structure is also called golden shrine, because all the pillars and doors are gilded with gold foil. 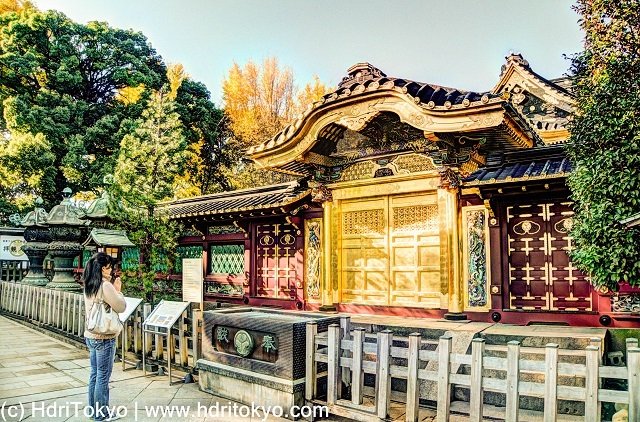 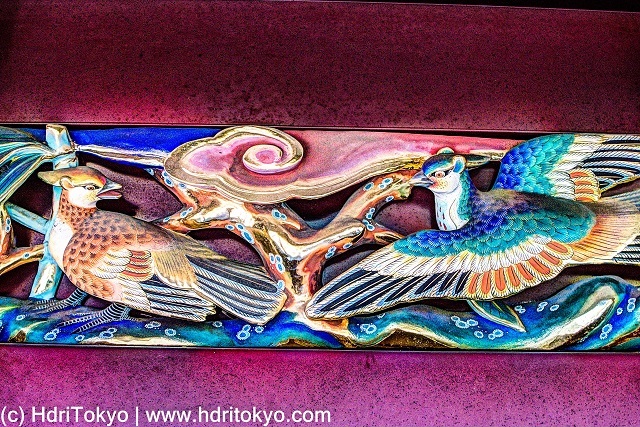 Main structure of Ueno Toshogu shrine is surrounded by a wall which is decorated with many carvings. 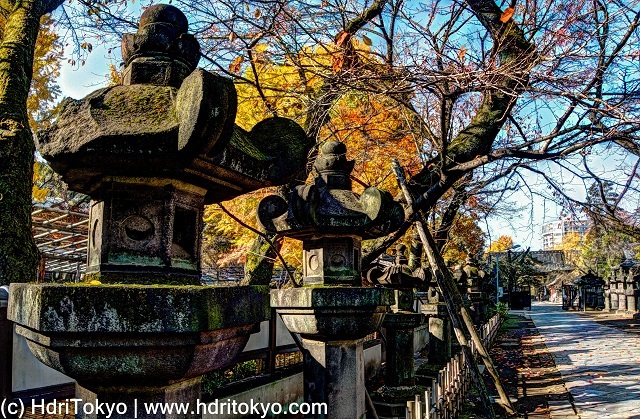 If you walk along the approach from the entrance of Ueno Toshogu shrine, you will faced to the gate. 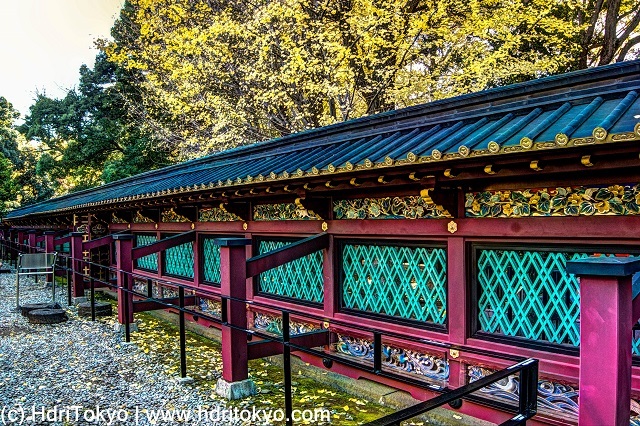 That gate is called "Karamon". 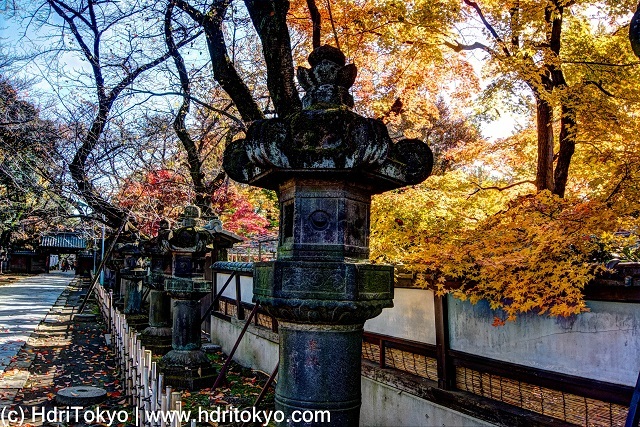 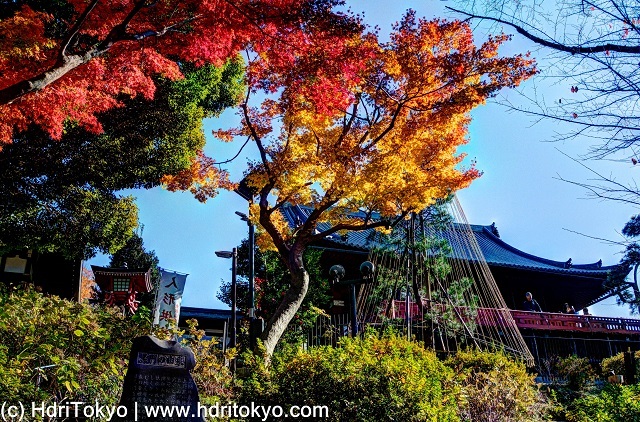 In late autumn, not only the gate but also leaves around the gate are colorful. 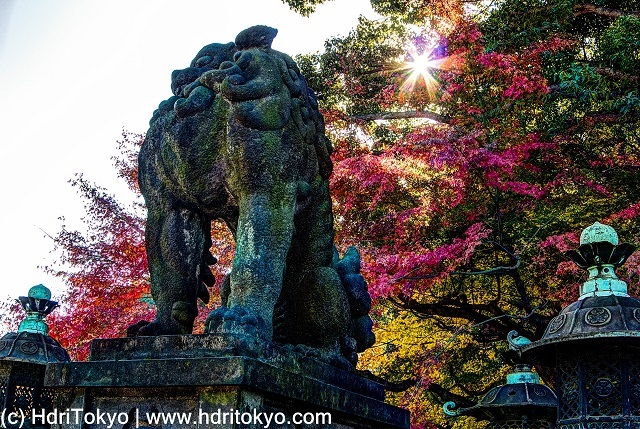 An stone guardian dog at Ueno Toshogu shrine, autumn leaves of Japanese maple in the back ground.